For fruit picking we opted for two methods. 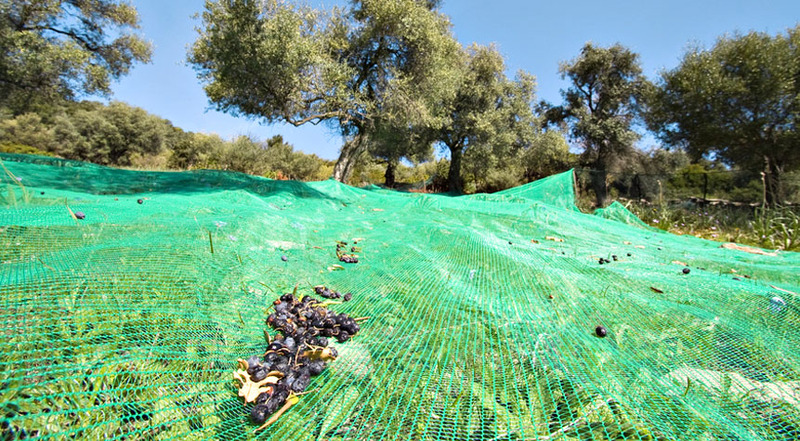 A completely manual, using combs and baskets for trees still "fragile" and the other partially mechanized that occurs with vibrating combs, dropping the fruit into nets spread on the ground, fruits by subsequently sorted and stored in boxes. 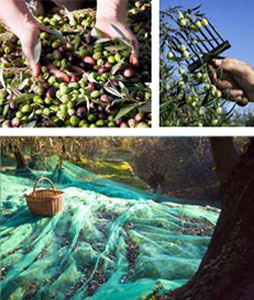 The harvest itself takes place in late October, when the fruit is ripening (state fruit begins to ripen), and until mid-December. Pickup is selectively variety. Indeed, each variety has its own characteristics in terms of flavor, aroma, bitterness, pungency of, and it is thanks to its characteristics as oils with different tastes is obtained. Thereafter it will all work miller with whom we work closely oils that will what they are. The extraction is taking place by mechanical methods.